Catalina’s underwater world has been attracting explorers for more than 100 years and it’s not hard to see why. A thriving eco-system that teems with marine life rewards underwater explorers who venture beneath the surface. 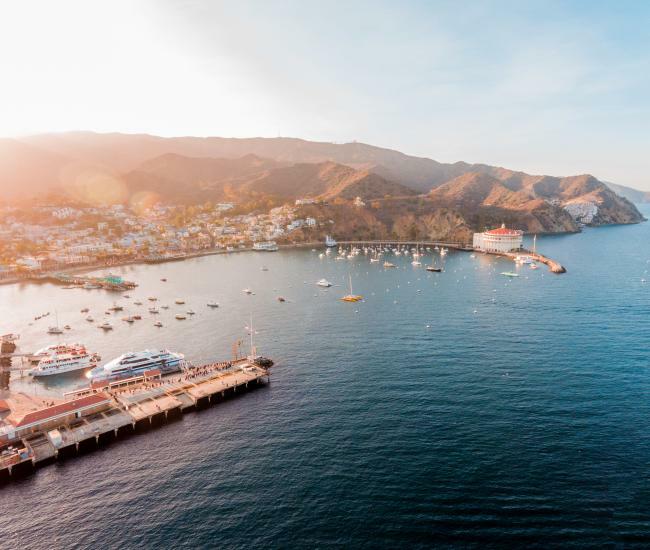 Here are eight things you should know about Catalina’s underwater world. It’s beautiful down there. As soon as visitors step off the ferry boat to Catalina, they get a peek at the beauty of the underwater world, including its crystal clear water and bright orange garibaldi. That glimpse is just the beginning. The island’s marine environment is an underwater wonderland where amber kelp forests shimmer in the sunlight, friendly fish frolic and awe-inspiring adventures await. 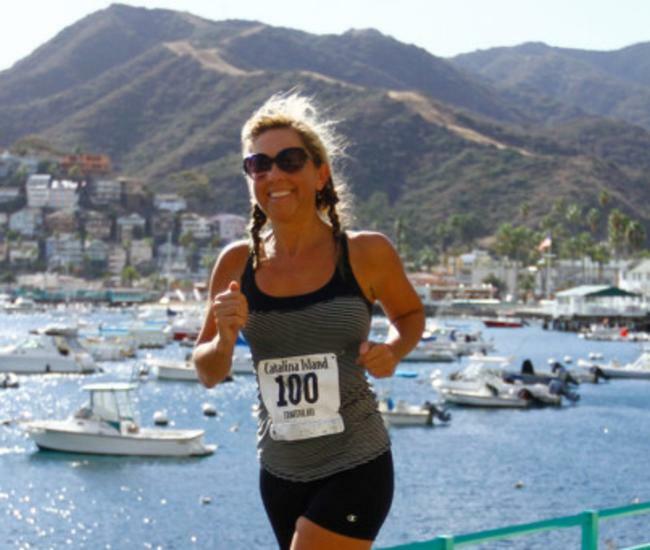 Catalina water temperatures range from the mid 50s in the winter to the 70s in the summer. Visibility can reach 100 feet and there are fascinating encounters to be had at nearly every depth. You’re not the first to appreciate it. More than 100 years ago, glass bottom boats were born when enterprising fishermen discovered it was a lot easier to make money by installing a glass panel in the bottom of a row boat and rowing curious tourists out to see beneath the sea. Those first glass bottom boats evolved into the vessels currently operating in Lovers Cove. Scuba has a lot of history here. 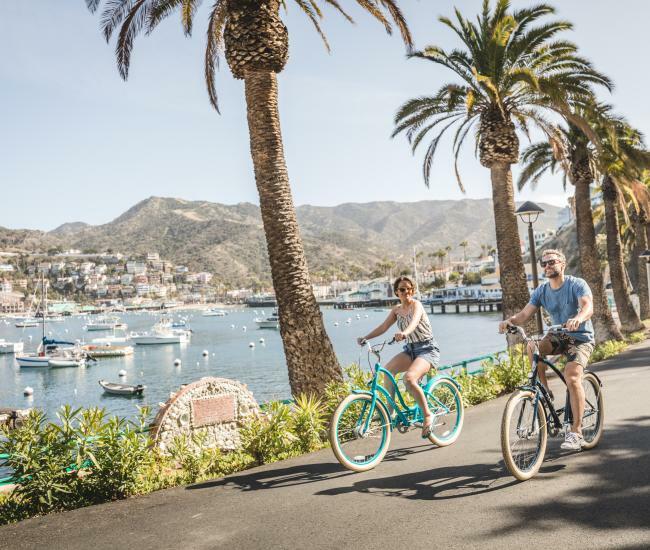 When scuba diving became accessible to the general public in the 1950s, Catalina Island was one of the first places in the world to become a popular destination for recreational diving. In fact, the Casino Dive Park was the first underwater park in the world. Visit the Avalon Diving History Exhibit, located on the ground floor of the Catalina Casino, to learn more about the history of scuba. One of the most popular spots in the country. Catalina’s reputation for great scuba experiences continues to this day, with divers flocking to the island from around the country to experience its fascinating marine environment. Catalina dive shops offer guided dives and boat dives, as well as a full array of classes and gear. Featuring kelp forests, diverse marine life and easy access, the Casino Dive Park continues to be one of the most popular places to dive in North America. Other popular dive sites include Italian Gardens, Hen Rock and, for more advanced divers, Farnsworth Bank off the windward side of the island. You’ll still see plenty with a mask and a snorkel. Even if scuba’s not for you, the underwater world still offers plenty of excitement. Lovers Cove and Descanso Beach are both popular spots for snorkeling on Catalina Island. Thousands of nearly tame fish inhabit Lovers Cove, where generations of kelp bass, sheepshead and opal eye perch have grown accustomed to being fed by people. Buy a bag of frozen peas and expect to be engulfed by dozens of hungry fish eager for a free meal. Snuba, which allows you to explore up to 30 feet deep with surface supplied air, is available seasonally at Descanso Beach. Marine inhabitants. 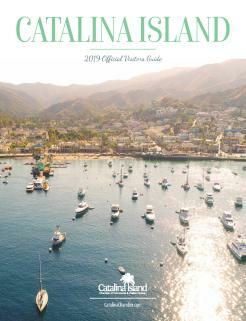 Catalina’s marine environment offers a myriad of habitats and a thriving ecosystem. Underwater explorers encounter giant black seabass, moray eels, bat rays, leopard sharks, octopus, spider crabs, spiny lobster, California sea lions, barracuda, kelp bass and an array of invertebrates. You don’t have to get wet to explore it. Glass bottom boats and semisubmersibles mean you don’t even need to get wet to get a good look at Catalina’s undersea gardens. Regular tours aboard both types of vessels allow visitors to get an up-close look at the marine environment.